Principled, enterprising, involved and proactive: these are four fundamental values for Elements Legal. Elements Legal is a modern and independently operating firm of civil law notaries based in the Amsterdam business district ‘Zuidas’. Our firm focuses on national and international corporate law in the widest sense of the word. You can turn to us for everything, from the legal opinion to the execution of the notarial deed, often being the final step of a transaction. If necessary, we will engage other consultants, such as lawyers, tax advisors, accountants and corporate finance advisors, in order to achieve the best result for you. When we provide services, we always try to optimally relieve our clients of their burdens while maintaining a high standard for service orientation and speed. Mergers and takeover transactions are complex matters for which a thorough investigation of the companies involved and the contribution of an expert corporate law advisor are of elementary importance. Elements Legal has the expertise and skills that are required to successfully guide the whole process, if necessary in close collaboration with other advisors. A legal restructuring means that a company’s legal structure is examined and optimised. There are often different reasons for doing so, such as tax motives, joint ventures, simplification of a corporate structure, risk spreading, limitation of liability, exit structures, investments and corporate governance. Elements Legal has wide experience in national and international restructuring and is very skilled at advising and supporting clients from a civil law perspective. Where necessary, we will closely collaborate with tax advisors in an efficient and pragmatic manner in order to realise the best structure. Notarial services traditionally cover the whole spectrum of legal areas that affect the daily lives of our clients. Elements Legal is keenly aware of this unique role of the notarial profession and contributes to it in a thoughtful, no-nonsense way. Our playing field is corporate law in the widest sense; advising on and setting up of national or international corporate structures, support for private equity or other transactions, mediation in the case of disputes and even reducing entrepreneurs’ workload by means of corporate housekeeping. Elements Legal is fully familiar with all these areas and will join forces with dedicated partners in its national and international network in order to find efficient solutions for multidisciplinary problems. Our team at Elements Legal is comprised of enthusiastic professionals with broad legal experience and eye for detail. Elements Legal is always looking for new notarial talent! If you are interested, then please send an e-mail with your CV to info@elementslegal.com and we will contact you. 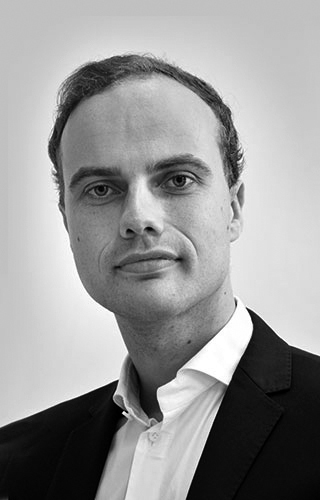 Ralph received his Master's Degree in Corporate Law from Utrecht University. Since 2002 he has worked for various multidisciplinary law firms and tax advisory firms. Based on the conviction that notaries thrive best in a solitary, independent setting, he and his team started Elements Legal on October 1, 2018. As Civil Law Notary at Elements Legal, Ralph gives legal opinions on a wide range of corporate law aspects. More specifically, Ralph is specialised in private equity, employee participation and start-up-related matters. Ralph works for a large number of private equity funds. Ralph is also auditor with The Royal Notarial Dutch Association of Civil Law Notaries (KNB). Clients describe Ralph as engaged, pragmatic and purposeful. Sjoëlla received two Bachelor's and two Master's Degrees (in Corporate Law and Notarial Law) from Leiden University. She has worked in the legal sector since 2012. Sjoëlla is specialised in several professional fields, including mergers and acquisitions, restructuring operations, joint ventures, management and employee participation, setting up corporate structures with a special-status foundation, such as ‘STAK’ (trust office), ‘ANBI’ and ‘SBBI’. Clients describe Sjoëlla as passionate, dedicated and meticulous. 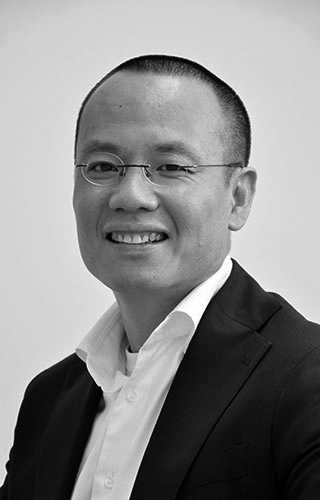 Tien-Phat received his Master's Degree in Notarial Law from Utrecht University. After having started his career at the Dutch Ministry of Justice, he earned his legal spurs by working for several multidisciplinary law firms and tax advisory firms, where he focused on commercial corporate law issues. On October 1, 2018 he joined Elements Legal, where he mainly focuses on advising clients about restructuring operations, cross-border transactions, capital markets and corporate governance. Clients describe Tien-Phat as knowledgeable, principled and service-oriented. Ilona successfully completed her Master's Degree in Corporate Law at Radboud University in Nijmegen. She gained experience by working for several (large) law firms and has worked in the legal sector for more than five years. 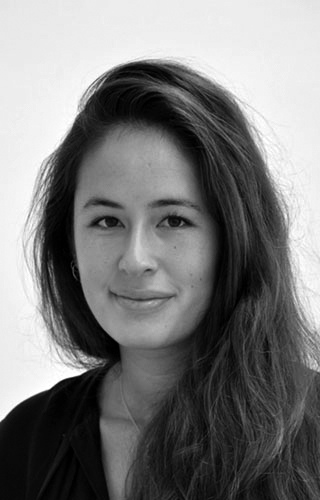 As a Senior Legal Associate at Elements Legal, Ilona advises clients about notarial corporate law aspects in both the national and the international legal practice, with special attention for setting up corporate structures, restructuring, participations, assistance with mergers and acquisitions, corporate governance, joint ventures and social entrepreneurship. Clients describe Ilona as committed, creative and result-oriented. 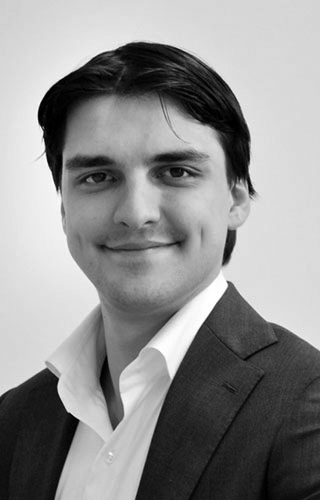 After completing his Master's Degree in Notarial Law at Leiden University, Jeroen started to work as a Deputy Civil Law Notary in April 2018. During his study Jeroen worked for various (notarial) law firms, concentrating on the notarial aspects of corporate law. He also worked as a legal expert in the Legal Aid Centre in Leiden. During his academic career he also studied in the United Kingdom for one year. As Deputy Civil Law Notary at Elements Legal, Jeroen focuses on the notarial aspects of corporate law for both national and international clients. The areas he advises on include restructuring and acquisitions, for which he always considers clients' interests in order to provide them with concrete solutions. 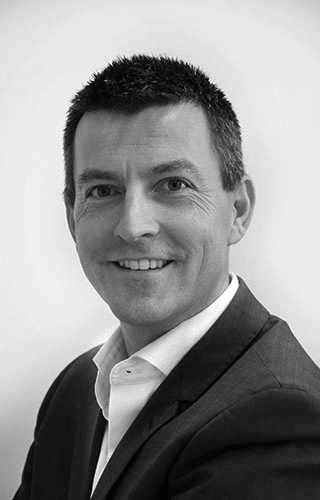 Clients describe Jeroen as responsible, precise and professional. Jonne received her Diploma in Law from the Amsterdam University of Applied Sciences in 2012. After graduating, she worked for various law firms, until she made a career switch to the notarial practice in May 2018. 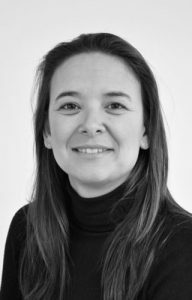 As Legal Consultant at Elements Legal, her main focus lies in the legalisation practice, in addition providing the team with (legal) support. Clients describe Jonne as positive, energetic and proactive. 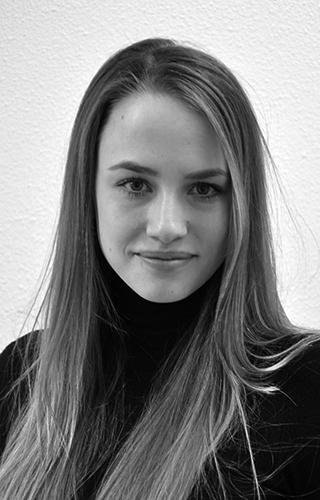 Claudia completed her Degree in Management, Economics and Law at the Academy at Utrecht. 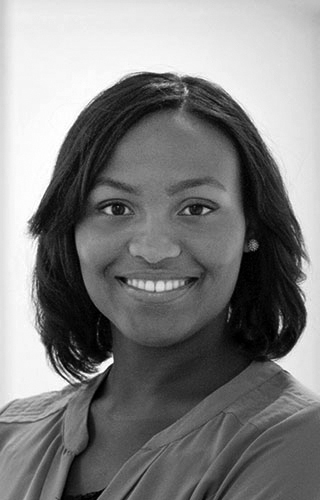 After her studies she gained a lot of experience in the financial services industry. As a finance manager she is responsible for the financial administration at Elements Legal. Colleagues describe Claudia as reliable, steady and meticulous. 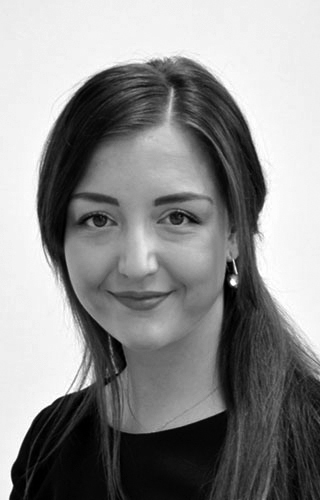 Nikita has worked as Legal Consultant for several notarial firms since 2012. During this period he mainly focused on national and international corporate law as well as on setting up and managing a legalisation practice. 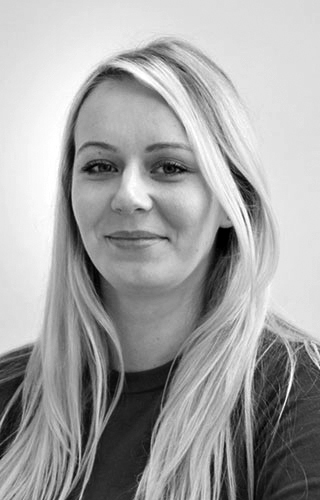 In October 2018 Nikita joined Elements Legal as Senior Legal Consultant. In this position he assists clients by providing them with advice on and supporting them with a wide range of corporate law matters, including mergers, acquisitions, corporate governance as well as national and international restructuring. He also manages the legalisation practice and trains colleagues. Clients describe Nikita as approachable, industrious and solution-oriented. After Shannon received her Master's Degree in Private Law from the University of Amsterdam, she started to work in the notarial corporate law practice. As Legal Associate at Elements Legal, she performs a broad range of services relating to national and international corporate law matters, including corporate housekeeping, setting up legal structures, drafting and amending articles of association and supporting and effecting restructuring operations, mergers and demergers. Clients describe Shannon as friendly, proactive and dedicated. Johanna received her Bachelor’s Degree in Law from the University of Tartu in Estonia and is currently busy with finishing her Master studies in International and European Law. During the master she has been working as an International Clients advisor in the ABN AMRO Bank. In the beginning of 2019 she started her career in notarial practice als a Junior Legal Consultant. The main tasks of Johanna in this position are providing legal support on corporate law matters and assisting with the legalization practice. Clients describe Johanna as decisive, diligent and pragmatic. Solving corporate law disputes by means of mediation is an area in which Elements Legal is particularly suited to assist its clients. Thanks to the combination of our extensive knowledge of corporate law, our team’s experience in this area and the role of impartial advisor, well befitting of a civil law notary, we can find suitable solutions for all parties and for a wide variety of disputes. We at Elements Legal understand the dynamics and value drivers of a private equity transaction. Efficiency, pragmatism and speed, which we believe are essential elements for providing services in this sector, are guaranteed by our team at Elements Legal. We have broad experience in the area of setting up and structuring funds as well as in supporting with and implementing of all related legal acts and transactions. In order to enable a company to operate effectively, a clear legal structure and informed decision-making are of fundamental importance. This is why it is important that there are clear rules in place in order to create stable and fair relationships between the various stakeholders. Elements Legal is widely experienced in the area of corporate governance and likes to consider solutions together with its clients to ensure that the interests of all the stakeholders are properly protected. For many entrepreneurs corporate housekeeping is an important ‘balancing item’, which often receives insufficient attention. Elements Legal can relieve its clients of a great deal of work in this area. Our team can, for example, draft and facilitate periodic and non-periodic decision-making, monitor deadlines, keep the data in the Trade Register up to date, carry out corporate health checks as well as file and act as custodian of corporate documents. This provides our clients with deeper insight into their business operations and allows them to work more efficiently. Social entrepreneurship is in a constant state of flux in the Netherlands. Social entrepreneurs apply their enterprising spirit in innovative ways in order to realise added social value. In addition to its primary aim, a social enterprise will also seek to achieve a commercial goal and will often reinvest any profit made in the business in order to achieve further benefits to society. Elements Legal realises the significance of social entrepreneurship and has the necessary expertise in this area. We offer tailor-made solutions and advise social entrepreneurs about setting up and structuring social enterprises. Social organisations are an important element in society. As a notarial firm we are keen on being involved in supporting social organisations. Elements Legal provides various nonprofit organisations with advice from a notarial perspective. Our employees advise clients in various industries on the relevant legislation and regulations in order to realise their social (or other) aims. We also help clients with obtaining a particular status, such as the ‘ANBI’ (charitable institution) or ‘SBBI’ (institution looking after social interests) status, or with satisfying requirements for subsidies and/or public funding.